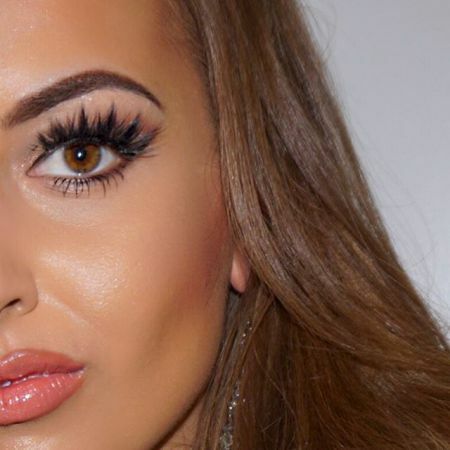 Which Mascara and Eyeliner is the Best for Hazel Eyes? Those women who have hazel eyes can be truly considered to be the lucky ones. They have a great chance to change their appearance anytime they like. All this is due to the fact that their eyes are very expressive. There is one very important feature of hazel eyes. They are able to change their color in accordance with the mood of their owner as well as the color of her clothes. You can be new and interesting all the time! Isn’t it great? Hazel color is based on a combination of green and brown colors. Green or gold-brown colors can sometimes play more important role in the overall look in comparison with all other tones. Here is one useful tip that is necessary for every woman who has hazel eyes. Make-up should be chosen after you have already dressed up or at least you know for sure what you are going to wear this evening. 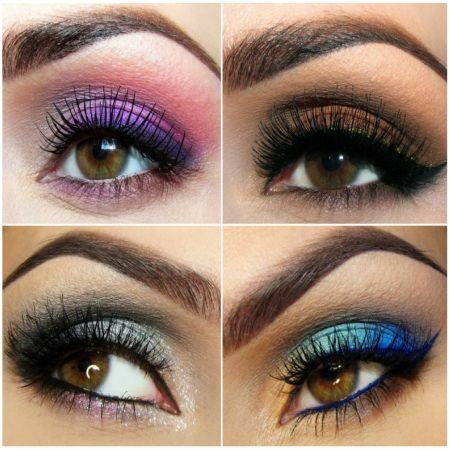 You need to find the harmony between the color of your eye make-up and clothes. If we speak about personality and features of character which women with hazel eyes have, it is necessary to mention that they are very strong and ready to achieve their goals by all means. They will try to do their best in order to finish the job rather than leave it undone. Strong personality hides the fact that sometimes they can be very sensitive and weak deep inside their soul. However their self-confidence makes it possible to make important decisions without any help. Nowadays there are lots of popular brands which produce cosmetics for all types and styles. Every woman is able to find products of high quality that will suit her needs and demands. Mascara is not an exception. It can help you to increase the volume of your lashes as well as make them longer. 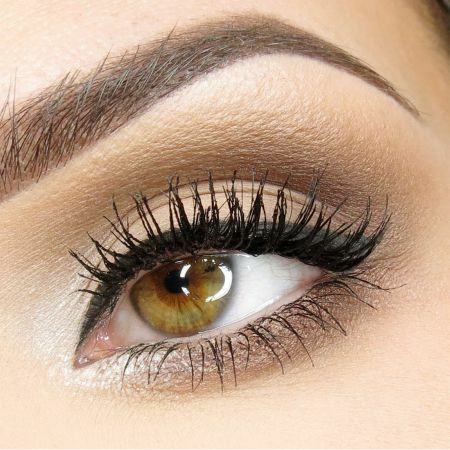 In addition you are able to stress the beauty of your hazel eyes with the help of mascara. We would like to introduce several famous brands to you which are now popular all over the world due to the fact that they offer high quality cosmetics. One of such brands is max Factor with its Eye Brightening Mascara. It was developed for women with hazel eyes. It is combined with golden shine that will help to make your look more expressive and sensual. Despite the fact that this mascara is coal-black, it provides your eyes with a special stressing effect with the help of a golden tone. This was the most fashionable and stylish trend last year. Another brand that we would like to introduce to you are L’Oreal and Oriflame. They provide you with not only golden tones but also blue and violet mascaras which are the best choice for hazel eyes. Eyeliner is an inevitable part of make-up for the majority of women. If you prefer using mascara without any effects, some pencils will help you to stress the beauty of your eyes. Like the article «Which Mascara and Eyeliner is the Best for Hazel Eyes?»? Share it with friends!